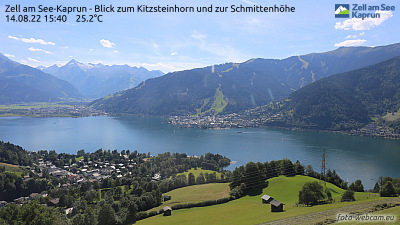 Our farmhouse is situated 1,200m above sea level with beautiful views across the Hohe Tauern and Schmittenhöhe mountains and Lake Zell. The farm is a working farm used to provide a supplementary income. We are a very family-friendly business. You and your children are welcome to watch the cows being milked or the pigs and cats being fed. You can also help with the work in the field if desired. A table tennis table is available outside for everyone to use. The farm is ideally located as a starting point for beautiful walks that are suitable for the whole family. To ensure your winter holiday goes perfectly, make sure that your car is equipped for the winter weather. Relax and leave the hustle and bustle of everyday life behind. If you are looking to enjoy a culinary experience, the Mitterberg mountain restaurant is situated within approx. 50m walk, and is run by my sister and her family. Couples with families can enjoy a special evening meal on the sun terrace, with beautiful views. Local dishes and delicacies are available to try. Bookings for all kinds of celebrations can be accommodated here, such as birthdays, family celebrations, weddings, etc. Use of the sauna and a full breakfast is available upon prior arrangement and at an additional cost.